India sent a really worthy contender to Miss International in the form of Gurleen Grewal. 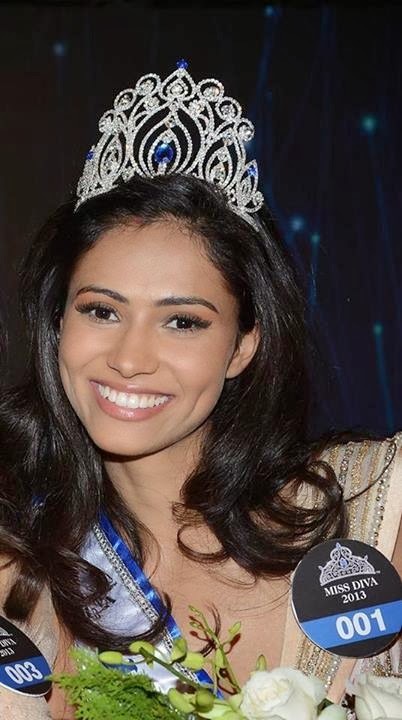 Grewal was the first runner-up of Miss Diva 2013 (Miss Universe India) and was selected to represent India at this year's Miss International Pageant in Tokyo, Japan. Gurleen did not put a foot wrong in Japan. She just radiates elegance and class and I think facially she was also one of the most beautiful girls in the competition. 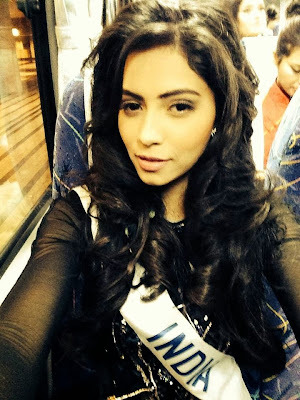 It's too bad she will not get a chance to represent India at another international pageant. She would have been great at Miss World or Universe. I don't know what those Japanese judges were thinking but she should have made the top 15. Why everytime bloggers, experts and self proclaimed experts call it robbed or shockers/surprises when their prediction was not right? Beauty is in the eye of beholder.Only if we are the judges in pageants then we can call it rightful semifinalists.But we are not.Do you think your picks would be the same with others if you have given a chance to judge?Definitely not. Relax. It's just a bit of fun. Nothing can change the results. Just celebrating some girls who were favorites amongst fans but were left out. because idiot japanese dont like indian beauties. @KRISH38381 As far as I know Japanese are not idiot.See how rich they are.That race values integrity.They rather die than to live with shame.Do you think they don't like Indian beauties just because India was left out and never crowned in Miss International? So before, MW didn't like Filipina and they love Indian beauties so much? It's only in 2013 when Philippines won the title though they send strong delegates before.So wait your luck my dear! Andre you must change the title of your segment.Favorite Beauties But Left Out or Miss Left Out. I totally agree with Andre... Too bad that Miss India Gurleen Grewal did not compete in Miss World or Miss Universe!!! She has to be one of the most stunning Asian-Indian women I have ever seen!!! But if Gurleen is at #11, I cannot wait to see who will be in Andre's Top 5!!! What's all the commotion???? she's not stunning, just pretty ok. Next. I think they prefer graceful type over fierce one cause Venezuela did that Miss U catwalk and she did not make it. The top 3 were more graceful and regal than others though.I don't know about Ms.India cause all I could find in missology are topics about Femina Miss India dropping Ms.Earth and Ms.International. These cases are part of the show. In all years we have a lot of faves who unplaced. I am a huge fan of beauty pageants and somehow stumbled upon your blog just over a year ago. I have never read another blog however I read yours regularly. I think your assessments are spot on and I usually agree with your predictions except Mr. Venezula! Can't wait to hear who makes your final list of robbed beauties. I am going with Israel however looking forward to reading your analyst. To continue my earlier post. Look forward to continue reading your blog in 2014. Grant from San Francisco on my two earlier posts! They don't make it easy here to add on big message liking your blog. Thank you, Grant from San Francisco! I appreciate the support. It actually made my day. Doing the blog in the little bit of free time I have can get quite tiresome, so messages like these make it all worthwhile.